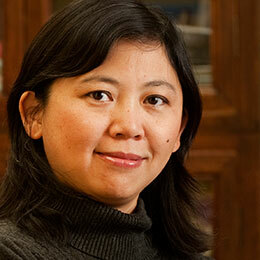 Yiyun Li grew up in Beijing and came to the United States in 1996 to pursue a Ph.D. in immunology but stopped short to become a writer. She has an M.F.A. from the Iowa Writers' Workshop and an M.F.A. in creative non-fiction writing from the University of Iowa. Her stories and essays have been published in The New Yorker, The Paris Review, Zoetrope: All-Story, Best American Short Stories, O Henry Prize Stories and elsewhere. She has received grants and awards from Lannan Foundation and Whiting Foundation. Her debut collection, A Thousand Years of Good Prayers, won the Frank O'Connor International Short Story Award, PEN/Hemingway Award, Guardian First Book Award, and California Book Award for first fiction. Her debut novel, The Vagrants, was published to critical acclaim and won a gold medal of California Book Award. Gold Boy, Emerald Girl, her second collection, was published in September 2010. She was selected by Granta as one of the Best Young American Novelists, and named by The New Yorker as one of top 20 fiction writers under age 40 from US. She was a 2010 MacArthur Foundation Fellow. Her work has been translated into more than twenty languages. She serves as an editor for Brooklyn based literary magazine, A Public Space.